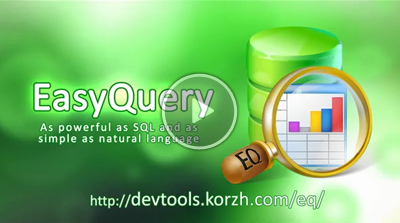 EasyQuery.NET - is a component library that allows you to integrate user-friendly ad-hoc query builder into your web application. Copyright 2011-2018 Korzh.com. All rights reserved.